You know, in the other black and white Old Man Logan image we got, I thought he was looking better than ever. This new photo pretty much puts that to bed. I guess the future does not come with doctors. At least not doctors Logan can trust. 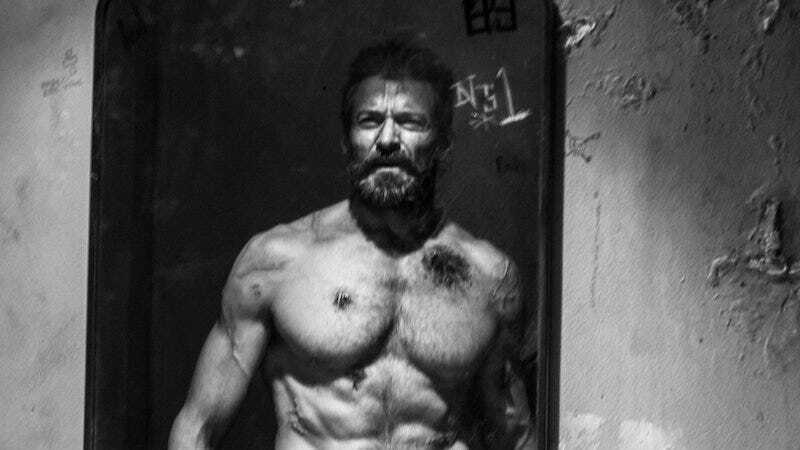 As is now the custom, director James Mangold dropped an image of a Logan character on Twitter. I think this one may be the bleakest, since we know that Logan’s healing factor has decayed to a point where he’s in almost constant pain. Now we can pinpoint a few of the many places where that pain is coming from. Fun for the whole family!